Normally your immune system protects you from disease. But if you have an autoimmune disorder, your body's immune system attacks your healthy organs and tissues thinking that they are invaders. Gluten intolerance is an autoimmune disorder that affects your digestive tract. The same immune mediator that causes gluten intolerance may also be responsible for immunoglobulin A nephropathy, an autoimmune disorder that affects your kidneys. Gluten intolerance is also known as celiac disease. If you have gluten intolerance and you eat foods that contain gluten, your body reacts by attacking your small intestines, causing inflammation and damage. The damage also affects your body's ability to absorb nutrients, which can lead to malnutrition. Gluten intolerance is genetic and is often triggered by a stress such as pregnancy, surgery, viral infection or severe emotional stress. Gluten intolerance is incurable, but you can manage it by avoiding all foods that contain gluten. In addition to affecting your digestive tract, gluten intolerance can also cause kidney problems. Immunoglobulin A nephropathy is a condition in which an antibody called immunoglobulin A, or IgA, builds up in your kidneys, preventing them from filtering waste products, electrolytes and water from your blood. It can also cause your body to spill protein and blood into your urine, raise your blood pressure and cause swelling in your extremities. Over time, IgA nephropathy may eventually cause your kidneys to fail. Like gluten intolerance, IgA nephropathy cannot be cured, but you can slow the progression of the damage with medication. Avoiding food allergens, such as gluten, also helps. 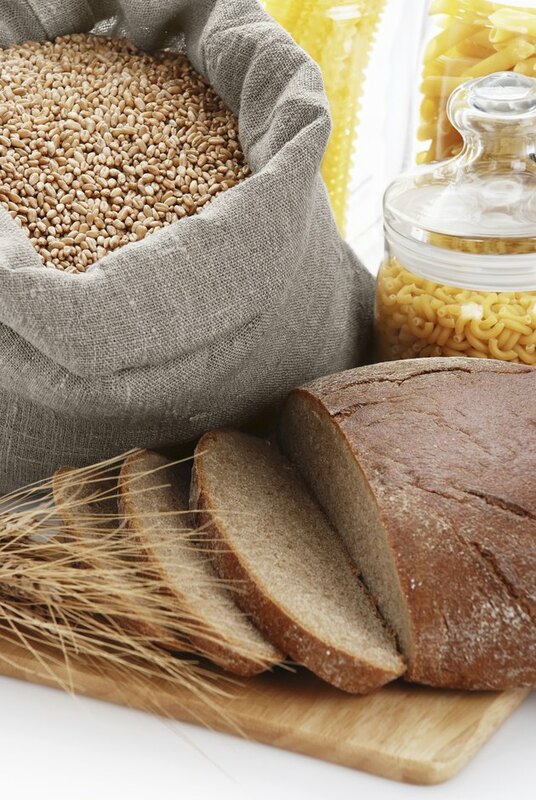 A gluten-free diet can help you manage both your gluten intolerance and any kidney problems related to your allergies. On a gluten-free diet you need to avoid all foods that contain gluten, which includes products made with or containing wheat, rye or barley. These products include most breads, pasta, cereals and snack foods. You also need to avoid a number of processed foods, such as luncheon meats, sausage, chips, rice mixes, soups, soy sauce and vegetables in cheese sauces. Careful label reading can help you identify foods that contain gluten so you can eliminate them from your diet. If your gluten intolerance has affected your kidneys you may need to make additional changes to your diet to help preserve kidney function. In addition to eliminating gluten, you should also restrict your intake of sodium. Limiting salt means not adding it to your food and limiting your intake of foods high in sodium such as fast food, soups, chips and salt seasonings. You may also need to limit your protein intake. In some cases, doctors may recommend a vegetarian diet to help treat IgA nephropathy. Can You Strengthen Your Kidneys?